We’d love your help. 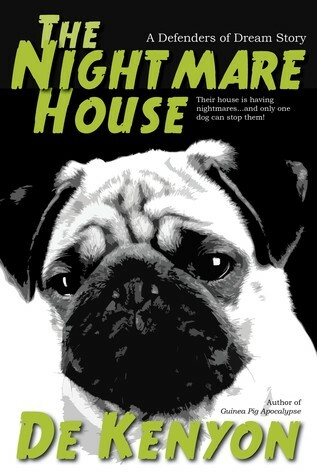 Let us know what’s wrong with this preview of The Nightmare House by De Kenyon. What do you do when your house is giving you nightmares? Ferntail the cat is quite proud of being the guardian of young Jaela's dreams. But he can do nothing about the nightmares that the house is giving the whole family. For that, a dog must be called in. But when the dog arrives, he isn't the big, tough German Shepherd or Rottweiler that Ferntail hopes will be able to brin What do you do when your house is giving you nightmares? But when the dog arrives, he isn't the big, tough German Shepherd or Rottweiler that Ferntail hopes will be able to bring the house back into line...but a completely ridiculous, panting, fat-cheeked,annoying pug puppy. Will Ferntail or the house get him first? To ask other readers questions about The Nightmare House, please sign up.